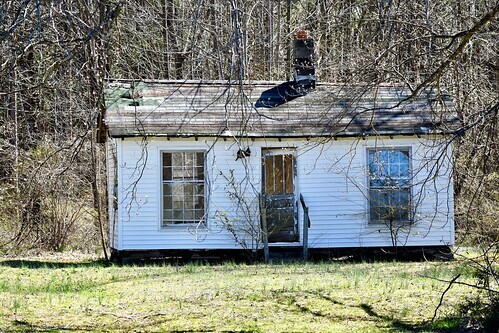 Not only is this an abandoned house, but it is also a tiny house. You can see right through the windows to the woods outside. So it is a tiny, abandoned, see through house. 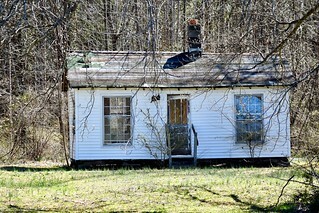 I think this could be a fixer-upper. Found off a rural road in Virginia.